We are publishing October’s Document of the Month a little early since we are excited about our conference Norman Essex: what did the Normans do for us? taking place this Saturday (1 October 2016). Despite the fact that it dates from about 200 years later, this document is named after that most famous of Norman documents – Domesday Book. 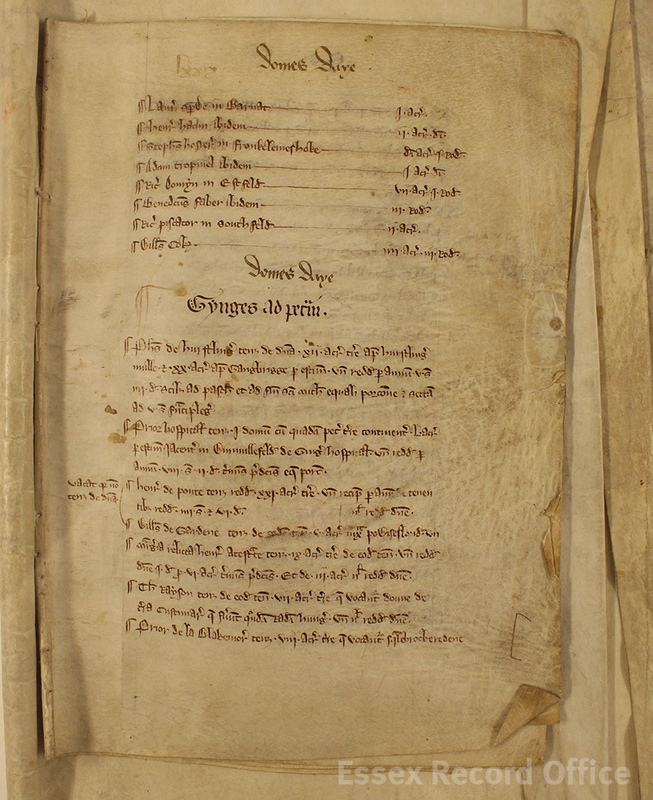 Our Document of the Month follows in the footsteps of Domesday Book, and it is clearly headed with the words ‘domes daye’. It is the Ingatestone portion of the ‘Barking Domesday’, dating from about 1275. Only two parts of the survey survive, a 15th century copy of the manor of Bulphan and this from the manor of Ingatestone which is stitched into a rental. The survey names the tenants, gives a brief note of their landholdings and rent and then a much more detailed account of the labour services such as ploughing, hoeing, making hay, reaping and even gathering nuts that they owed to the lord of the manor and the times of year when they were due. Although the words Domesday look as though they have been written in a different hand we do know that on 28 October 1322 the manorial court required the that the ‘Domesdaye de Berkyng’ be produced to answer a question about succession dues owed to the manor. 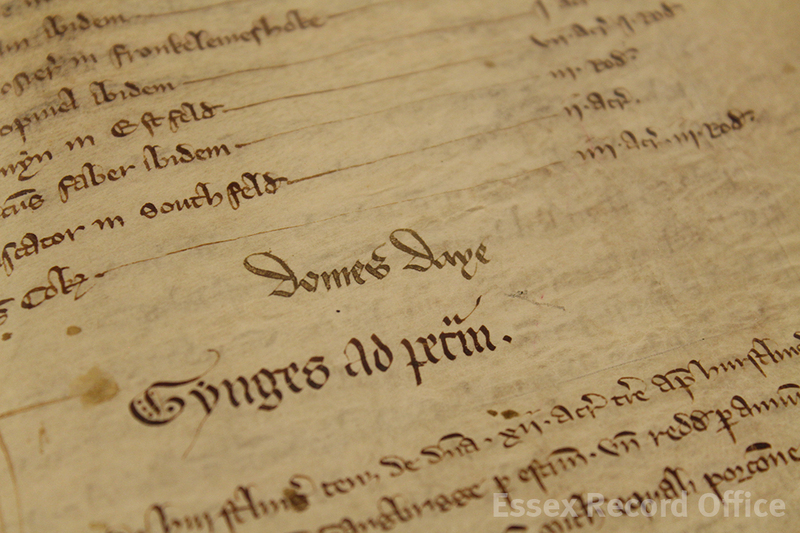 To find out more about what the original Domesdaye survey tells us about Essex, join us for Norman Essex this Saturday (1 October), and do have a look at the Barking Domesday if you visit the Searchroom during the coming month. We’re getting excited to share the creative side of our collections with visitors at our Heritage Open Day next week (Saturday 10 September 2016), including an insight into our most extensive photographic collection, the Spalding Collection. 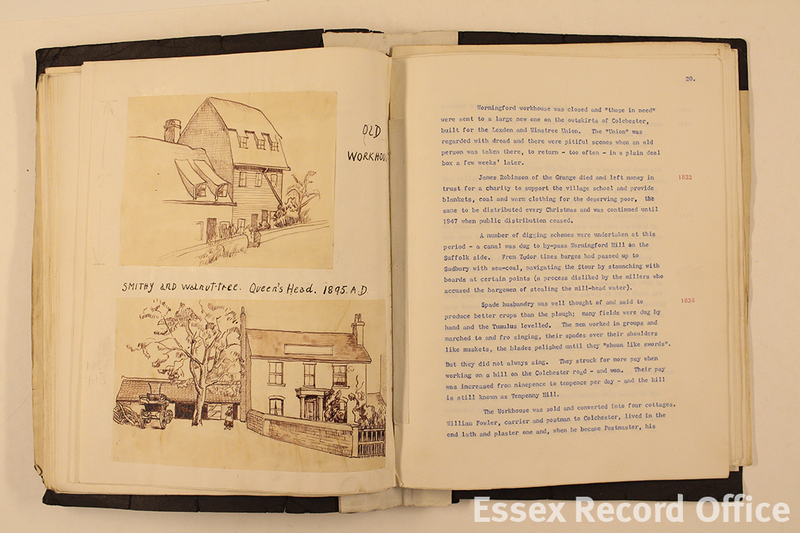 This collection includes some 7,000 images depicting 19th and 20th century Essex, created by three generations of the Spalding family, all of them named Fred. 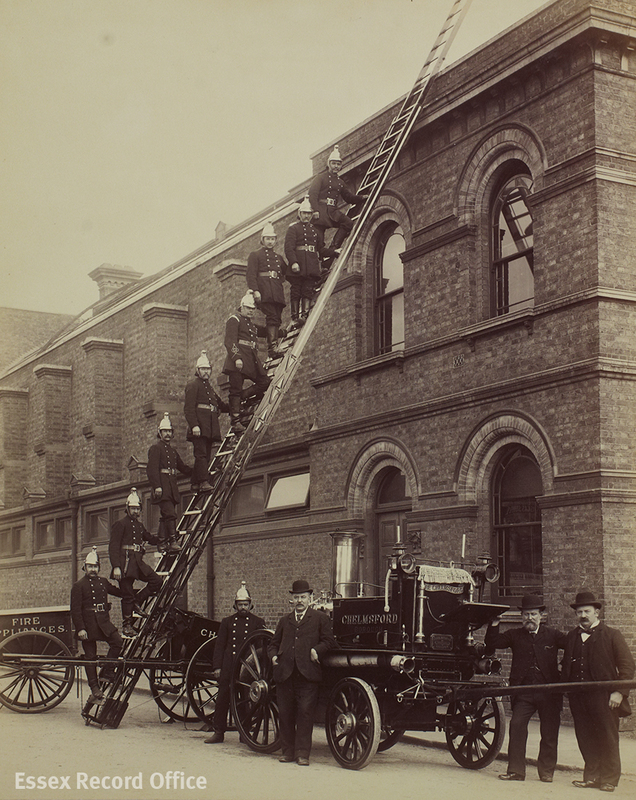 Alongside a display of some of the Spalding images, we will have our very own digitiser and early photography expert Andy Morgan with a display of historic cameras, to explain how the photographs were taken. The first Fred Spalding (1830-1895) took up the new art form of photography in the 1860s. 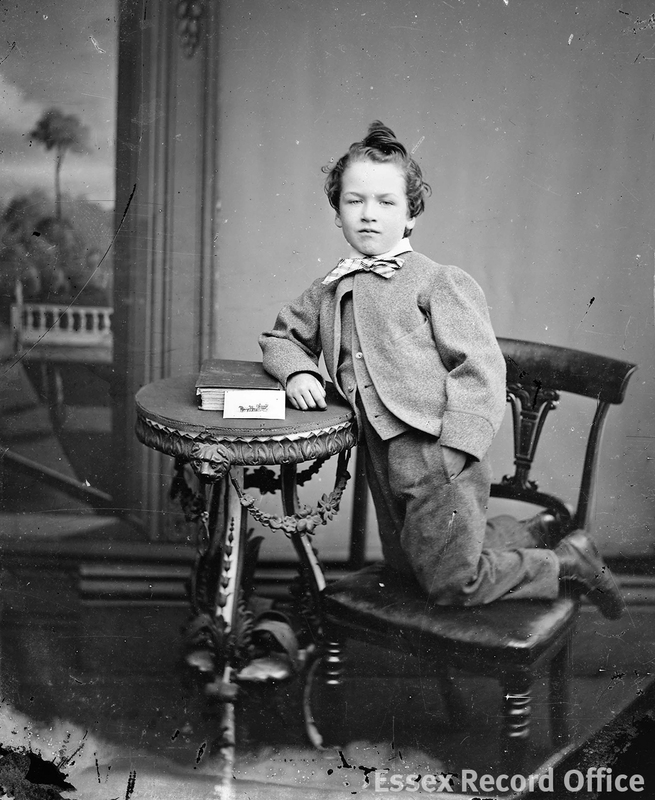 Born in Danbury, Spalding was the fifth child of a shoemaker, and had several lines of business before becoming a professional photographer (in an 1859 directory he is listed as a ‘bird stuffer and furniture broker’). 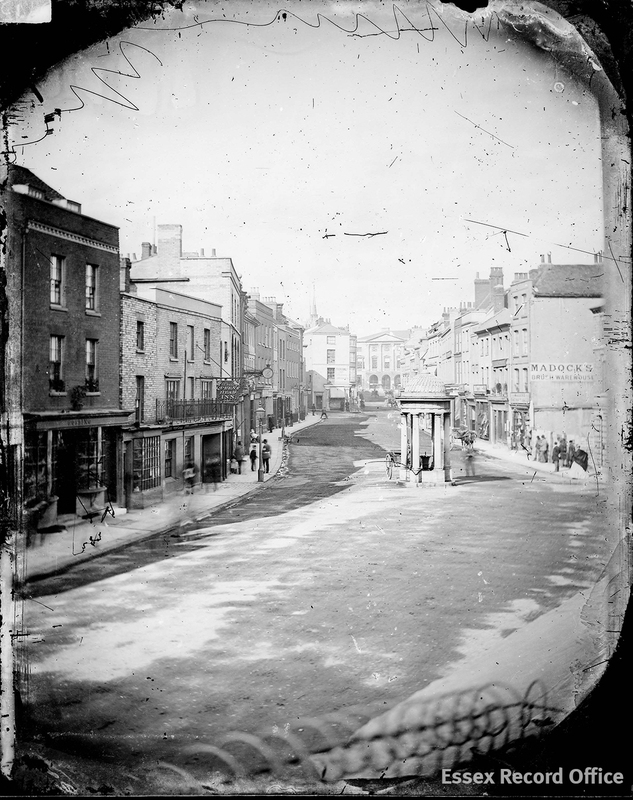 By 1862 he was listed as Chelmsford’s only photographer, mastering the complex equipment and chemical processes demanded by the early days of the pursuit. At this stage Spalding would have been using the wet collodion method of photography, invented by Frederick Scott Archer in 1851. To create an image, a glass plate was coated with a mixture of collodion and potassium iodide, sensitized with a solution of silver nitrate, and then exposed for anything from a few seconds to several minutes. While still damp, the chemicals were fixed and developed, producing a negative image on the glass plate, which could then be used to produce a positive print. The whole process – from coating the plate to making the exposure to developing the negative – had to be completed within about 10-15 minutes, before the chemicals had time to dry. Glass negatives on a lightbox. 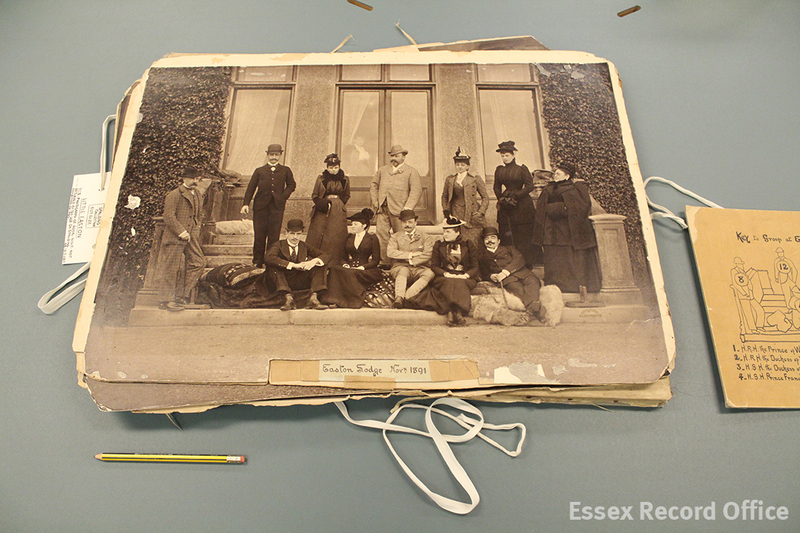 Some of the glass negatives in the Spalding collection are as large as 12×10 inches. 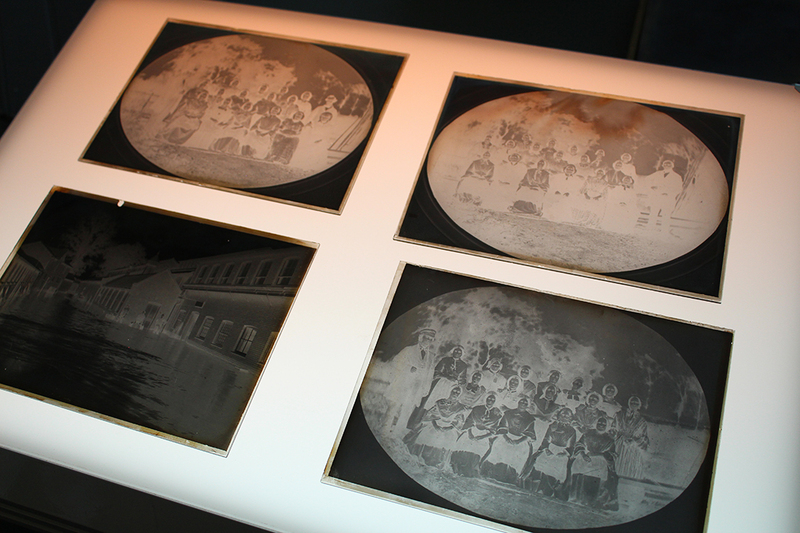 Glass negatives can produce a wonderfully sharp image, but of course are extremely fragile. This short Vine loop shows how we can use editing software such as Photoshop to turn an image taken from a glass negative into a positive image. This is a photograph of women at work in Marconi’s first factory in Hall Street, c.1900. Victorian photographers experimented with different printing processes from albumen paper, coated with egg white to the later gelatin silver prints introduced in the 1880s. The Spaldings used a variety of processes including carbon print and platinotype in a search to find a print that would not fade. The largest print from the Spalding collection, with a pencil to give an idea of scale. It shows the Prince of Wales’s visit to Easton lodge near Great Dunmow in 1891, the home of his mistress, Daisy, Countess of Warwick. The prince is standing in the centre of the back row, with Daisy to his left. Frederick Spalding junior (1858-1947) grew up immersed in the world of his father’s photography. 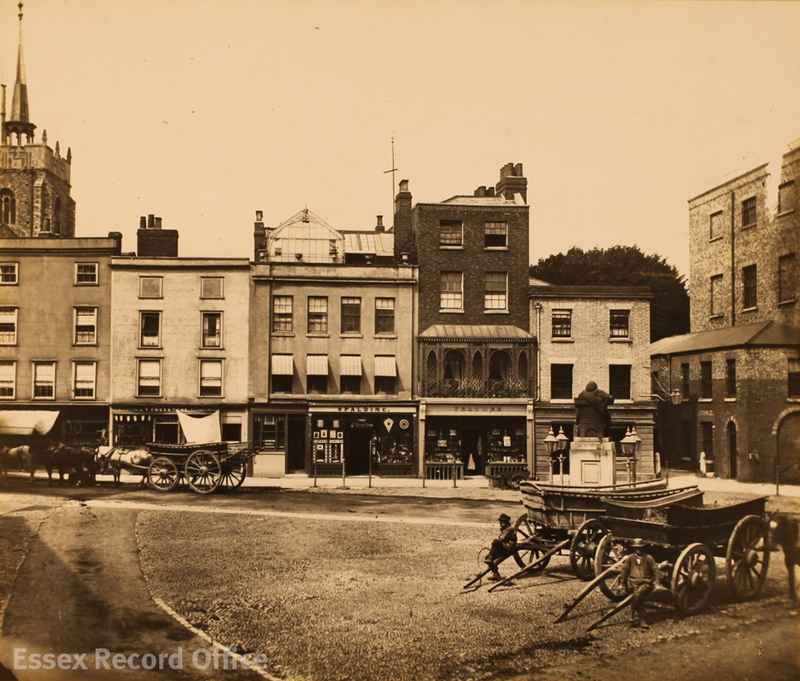 In the early 1890s he moved the growing business to 4 Chelmsford High Street, next door to the Saracen’s Head Hotel, and built a reputation as a portrait, landscape, and commercial photographer. By 1891, Frederick Spalding junior was well-established in his Chelmsford ‘fancy goods’ shop and photography business. In addition to portrait, landscape and commercial photography, Spalding took a keen interest in Chelmsford’s history, and fought to save ancient parts of the town, documenting them through photographs as they disappeared. Several of his photographs display a creative flair for posing groups of people – here are two of our favourite striking images. Join us at our Heritage Open Day, a celebration of creativity in the archives, on Saturday 10 September 2016 to see more from the Spalding Collection, and lots more. You can find all of the details here. September sees the opportunity to visit a huge range of locations across England through Heritage Open Days. 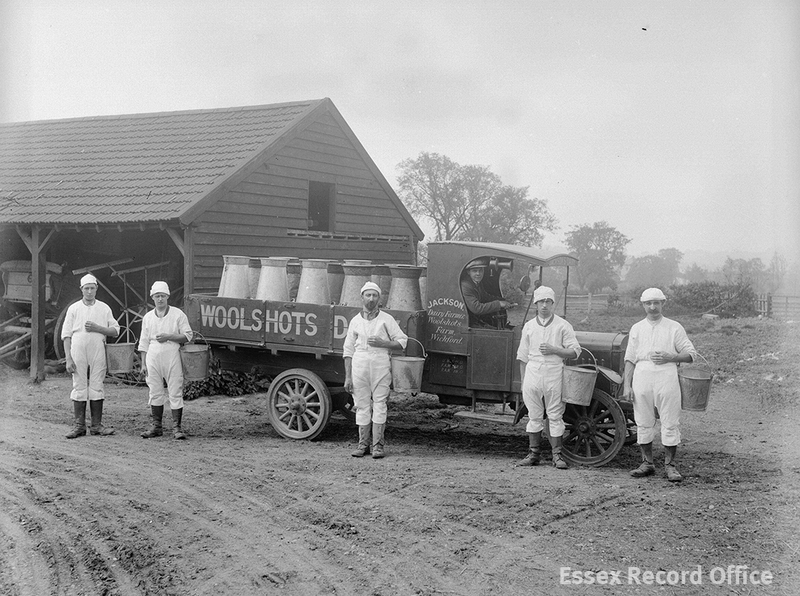 Here at Essex Record Office we will be open 10am-4pm on Saturday 10 September and we’ve taken the theme of creativity in the archives to inspire our choice of activities and displays. The current document of the month in the Searchroom is a history of Wormingford compiled by the Women’s Institute (WI) in 1958. 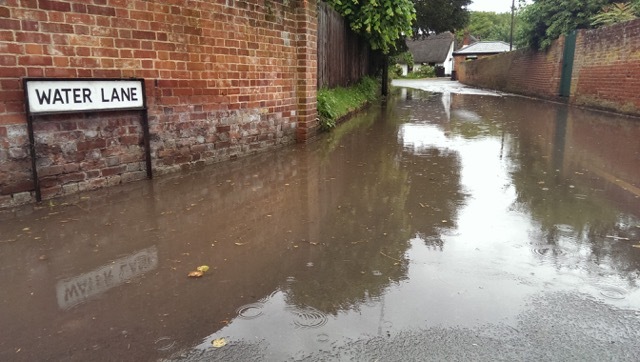 The village is located approximately halfway between Colchester and Sudbury to the south of the River Stour. The history records the creation of Wormingford WI in 1926 saying that early talks included ‘How to keep a husband happy’ that decided ‘food and tobacco did the trick’! Due to the lack of a venue for meetings the WI petered out. 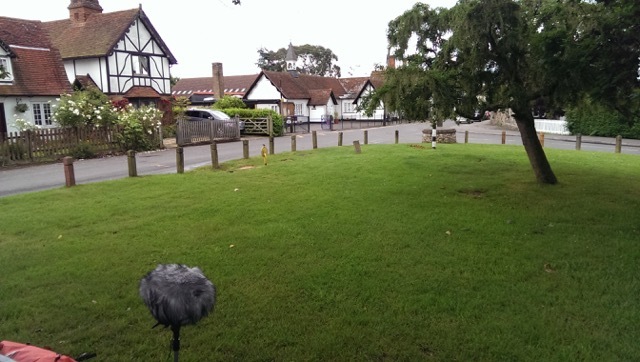 It was re-started in 1949 when a village hall was built and C1046 and A11292 contain various records of the group. The history draws on a number of sources to tell the story of the village from Palaeolithic times with copies of original records, photographs and illustrations. The latter are of particular note as they are reputed to have been sketched by local resident John Northcote Nash CBE, RA. The information we have is that the illustrations are by Nash, but they are unsigned and there is no contemporary note in the typescript that they are by him. This could potentially be explained by the fact that none of the individual contributors to the history are named. A published edition of the history names his wife, Christine Nash, as the author of a drawing used on the front cover, but doesn’t attribute the other illustrations to anyone. We are attempting to make contact with art history specialists to confirm whether the information we have that the sketches are by John Nash is correct. Nash was certainly part of the local scene at the time the history was being compiled. From 1929 he spent the summers in Wormingford and in 1944 bought Bottengoms Farm in the village. He painted several scenes of the local area, such as this one of Melting Snow at Wormingford (1962) which today is at the Beecroft Art Gallery in Southend. Nash was born in London in 1893 and later moved to Buckinghamshire. 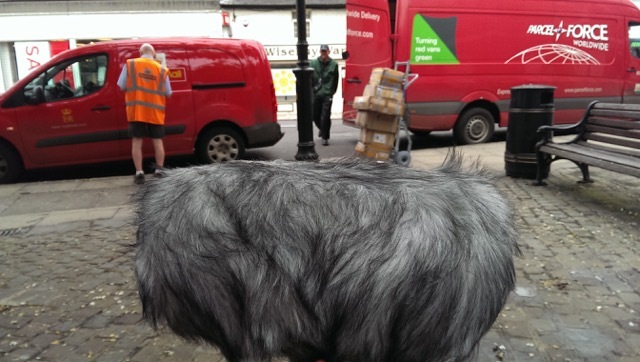 He began to train as a journalist but switched career path to follow his brother, Paul Nash, as an artist. Paul enrolled at the Slade School of Fine Art in London, which opened opportunities for both brothers; they went on to hold a successful joint exhibition of their work in London in November 1913. In the autumn of 1916 John joined the Artists’ Rifles, fighting on the western front for nearly two years before becoming an official war artist, as his brother had already done. 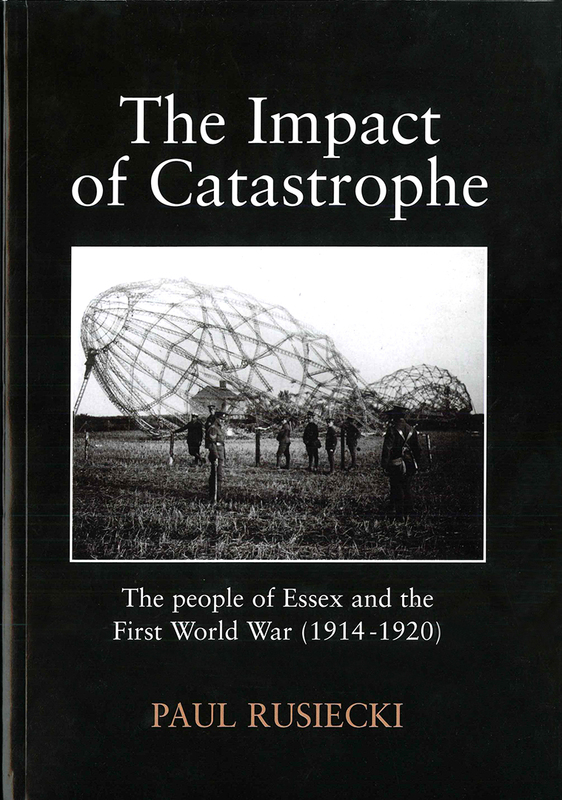 Much of his work from this time, including Over the Top (1917), is today held at the Imperial War Museum. After the First World War Nash continued to paint in oils and watercolours as well as doing drawings and woodcuts for book illustrations, especially related to botany. From the 1920s to the end of his life Nash taught in Oxford at the Ruskin School of Art and in 1940 he was commissioned into the Royal Marines as an official war artist. Between the wars he had travelled extensively across Britain filling sketchbooks with drawings and notes to later be developed in the studio. Nash was a founding member of the Colchester Art Society in 1946, serving as president between 1946 and 1979. He also taught at the Colchester Art School and held plant illustration classes at Flatford Mill in Suffolk. He continued to paint until his death in Colchester in 1977 and was buried at St Andrew’s, Wormingford. The village history displayed in the Searchroom contains a number of sketches purported to be by Nash of views around Wormingford, including the ford, the old workhouse, the Queen’s Head and the mill. It is open to the pages showing a drawing of Mr William Sac, the last carrier, along with his horse Sturme and another of his cottage. 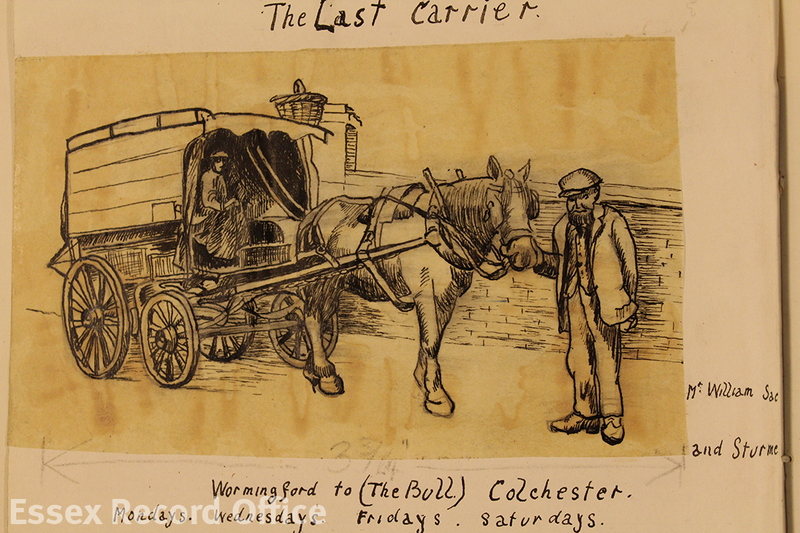 The carrier departed Wormingford at 9.30am and arrived at The Bull, Colchester at 12 noon. 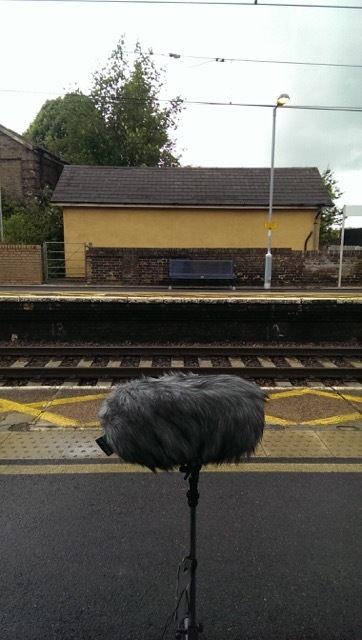 It left for the return journey at 4.30pm arriving back in the village at 7pm, all for the cost of 6d for adults, 3d for children and parcels at 2d. Other entries in the document mention the appearance of a ‘beast’, possibly a crocodile, in the valley (1400); visits by Elizabeth I to the village; accounts of witches, such as ‘Old Jemima’ (1880); bombs dropped by a Zeppelin in Metland Field (1914); and the Americans manning the airfield who ‘taught the village to chew gum’ (1939). The typescript will be on display in the ERO Searchroom throughout September 2016. 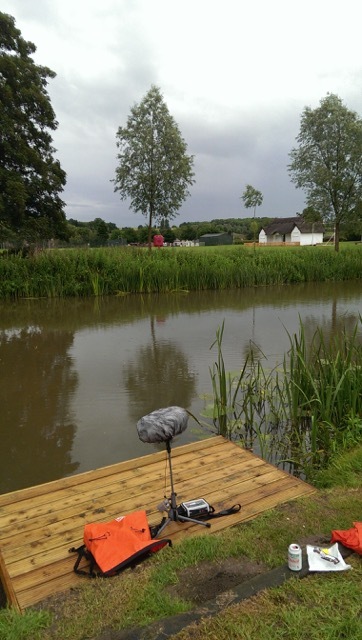 Join us for our Heritage Open Day on Saturday 10 September, 10am-4pm – full details here.